Hard work and dedication is at the foundation of any athlete, and fencers are no exception to this. Hard work can appear to be different to different fencers though, depending on their skill level, their training, and their passion for the sport. But does hard work really pay off? Is it possible to see the results you want just from putting in hours and hours of training and effort? Let’s take a closer look at what is involved when you put in the hard work. Is Winning a Result of Hard Work? I was recently talking to a fencer who was frustrated with her results at Summer Nationals after all of the hard work from the past year. She and her parents were disappointed that all their training and dedication didn’t result in higher placement or rankings. Sure it can be disappointing to expect a particular result and then not achieve it. There are so many factors that go into your rankings, many of which you cannot control. At the same time, I had to remind this fencer of just how far she had come. Only a year ago she was barand new to the sport. She could barely even hold her weapon correctly, much less appropriately execute an action in a national level competition! What we came to realize is that in the competitions leading up to Nationals she had placed very highly, surprising herself. Going into the tournament, she thought she would do much better than she did. She had unrealistic expectations. And as she started to see those expectations fade away with each point lost, she got too much in her head. There are so many factors that can contribute to a loss in the sport of fencing, and the mind games we play with ourselves are some of the worst! Ultimately, she admitted that she had come pretty far in the past year. That even though she didn’t win this time she learned a lot about what to do next time (and vowed to make sure there would be the next time!). Hard work may not have lead to her winning the ultimate prize in her category, but it did bring her far closer to her goal. We’ve talked a lot about having a burning desire or a passion for the sport of fencing. But it’s worth repeating here. There’s an old saying that when you do what you love, success will follow. It may not always be obvious, but when you’re passionate about your chosen sport, it shows. A person with lots of talent but no passion: This person may likely never pursue their abilities, and as a result, not realize their talent to its fullest potential. They may procrastinate or lack the burning desire to push forward and embrace this natural talent. A person with lots of passion but no talent: In some cases, this person may actually have more success in the long run. They will most likely work much harder and better than any other person on their team or in their club. They will dedicate all their time and energy to the pursuit of their passion. While it may not be something that comes easily or naturally, they will likely get over this hump at some point, and end up finding success on the strip. A person with talent AND passion: This person will likely not have to work as hard as some of their counterparts, but they will likely be able to work smarter. Learning more quickly, adapting to changes, and improving seemingly overnight. When this natural, raw talent is combined with a passion for the sport, it’s inevitable that they will quickly rise in success. All the talent in the world cannot improve a fencer unless they’ve been given the opportunity to train with an exceptional coach. 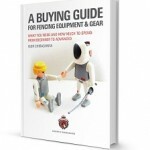 Many fencing coaches have an extraordinary ability to connect with their young fencers and promote a style of learning that helps to take them to the next level. These are the coaches that inspire young fencers to reach for much more impossible goals (and then achieve them!). But a coach alone can only teach so much. It’s up to the fencer to take these teachings to the next level. If you’re able to combine talent, hard work, AND a fantastic teacher there’s practically no limit to your success. This combination often leads to creating some of the most successful athletes of all time. As the son of an NBA coach, he had early and frequent access to practice and tips. In a sense he out practiced all of his counterparts, and as a result, was out-playing many of the players his same age early on. Speaking of practice, Malcolm Gladwell explains the rule of 10,000 hours in the book, “Outliers.” He describes that purposeful practice amounting to 10,000 hours lead to the success of the Beatles. In 1960, as a relatively new band, the Beatles secured a gig in Hamburg, Germany. They were underpaid and under-appreciated, but every day, for two years, they dutifully played in front of crowds. By 1962 they were playing eight hours a night, seven nights a week (and had begun to have positive feedback). By 1964 they had logged 1200 live performances. In comparison, most popular bands won’t have 1200 performances in their entire career. Some say the Beatles may be some of the best musicians that have ever lived. One thing is true, they are some of the most practiced musicians ever. The saying, practice makes perfect may be true in this case. 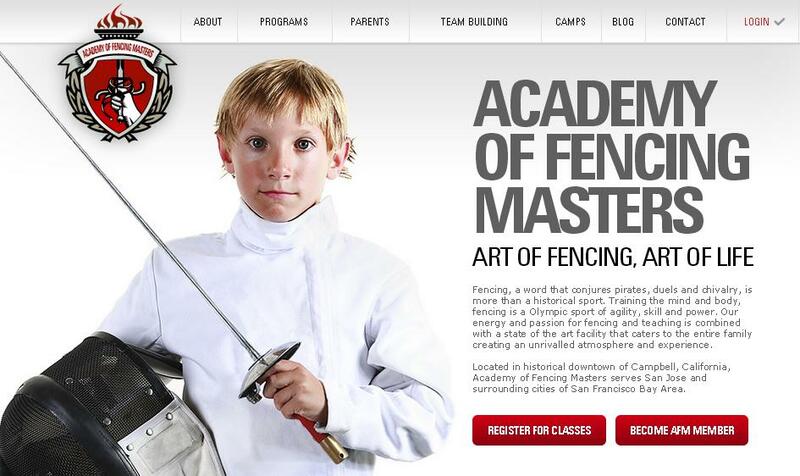 Particularly when it comes to perfecting a skill that is difficult, such as fencing. Ultimately, if you have a desire to put in the hard work, yes, it will pay off…eventually. There is no way to know exactly how much effort or how much time this will take. On the road to success though, you will no doubt experience small and noticeable improvements to your fencing. For example, you may notice your endurance getting a little better, particularly in more extended bouts. You may notice that your heavy epee doesn’t feel so heavy anymore, and is easier to hit your target. You may be able to execute more and more of the elements of the technique you were learning in private lessons. For example, you may see your opponents’ actions faster and clearer, while your own return movements are sharper, narrower and more precise. Your footwork may be more efficient and your hand is more accurate. Each of these little bits of improvement will build upon each other, adding up eventually to some form of success. Regardless of your talent, your teacher, or your own passion, if you do not put in the hard work, you may never see the kind of results that you could achieve if hard work were more of a part of your training. Perhaps the most important thing is that hard work is something you can apply to nearly anything in life. Applying the principle of hard work to school work and jobs you may have will always reap benefits. Being a hard worker in fencing will clearly produce results. No matter your talent level or chosen category. But continuing to push yourself to exceed expectations will open so many doors both on the strip and in your life. Your small fish who succeeded in small ponds had to face peer-strength.